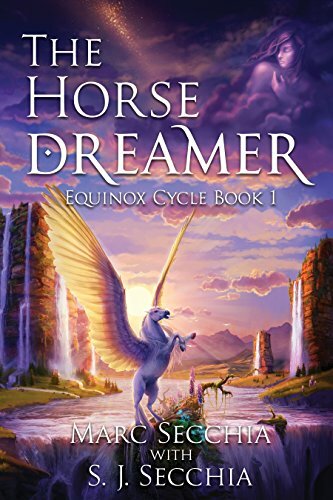 The Horse Dreamer is a Young Adult epic fantasy with horses, dragons, evil wizards and a grandfather who doesn't know the meaning of 'slow down'. Laced with humour, action and fantasy adventure, this is a clean coming-of-age tale which can be enjoyed from ages 10 and up. Fans of Aranya, The Pygmy Dragon and Dragonfriend will love this tale of Zaranna, a feisty heroine who refuses to allow a few swamps, Storm Pegasi, crystal dragons, wizards and demonic underworld thugs to stop her, never mind the loss of her legs. What are you waiting for? Ride away to Equinox today! it was good. Reminded me a little bit of your Space Time series in that there was a lot of different aspects introduced, different sorts of magic, different factions.